Theresa May is facing unprecedented pressure to announce a resignation date – even by her standards. The beleaguered PM who not long ago fought an election with the slogan “strong and stable” has been significantly weakened now the government has admitted it may not be try to push her Brexit deal through the House of Commons next week after all. The government is looking unlikely to command a majority of MPs if such a vote was forced on MPs a third time despite the objections of Speaker of the House John Bercow. The Times today reports that senior figures in No 10 confirmed discussions are underway on a timetable for the prime minister to stand down. A Downing Street source told the newspaper that even her closest allies believe it is now inevitable Theresa May has to resign. “It’s obvious that this is where things are headed,” they told The Times. The Prime Minister has been further undermined by her acting deputy, David Lidington holding talks with opposition leaders yesterday about a series of indicative votes on alternatives to her Brexit deal to find a way through the impasse more likely to work than repeatedly voting on the PM’s deal. This has angered Brexiteers worried about parliament now debating and deciding on the best way through the Brexit crisis so that Britain does not crash out of the EU unprepared for the chaos of a no deal Brexit. Support for the Prime Minister from her Conservative colleagues both remain-suppporting and the ERG faction who want a harder Brexit has fallen off significantly since she blamed MPs for the present crisis. In an inflammatory address from Downing Street on Wednesday the PM blamed MPs for the failure of Brexit. But the tactic appears to have backfired. Soon after a Sky poll showed that 90% of the country find the Brexit negotiations a “national humiliation” and MPs warned that such remarks endangered them and the democratic institutions of the country. One MP was attacked in the street by a Brexiteer calling him a traitor and another was told by police not to go home after death threats. Labour backbencher Wes Streeting warned May could have blood on her hands. He stormed: “Theresa May knows that MPs across the House are subjected to death threats – some very credible. “Her speech was incendiary and irresponsible. Anne Marie Trevelyan and Tracey Crouch are among a “large number” of Tory backbenchers who told whips May “had to go” now. Ex-Minister Guto Bebb panned her incendiary speech an “utter failure of judgement”. Many Tory colleagues now will only vote with the PM if she commits to resigning and other Tory rebels who switched to backing the EU Withdrawal deal last week are now threatening to vote against Theresa May. Nigel Evans, secretary of the Tory 1922 Committee insisted that May would have to go if the UK signed up to an extension that forced the UK to hold European Elections – another of her red lines she vowed not to cross. Theresa May also appears to have lost the support of the DUP’s MPs that she needs to win any vote. Campaigners today expect hundreds of thousands of people to attend the ‘Put It To The People’ demonstration. 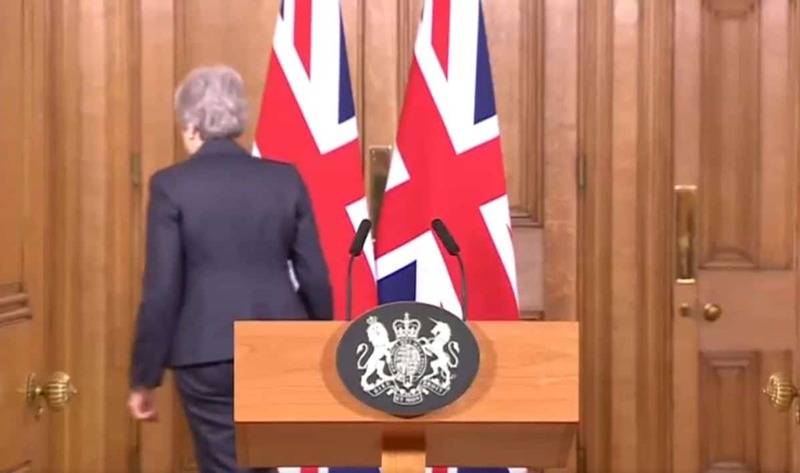 A petition on the government’s website to revoke Article 50 and stop Brexit has broken records, with millions of Brits signign it since Theresa May’s speech on Wednesday claimed she was with the nation. There has since been a referendum on if we should stay. This referendum took place under the provisions of a Referendum Act to gauge support for the country’s continued membership of the EU and it was based on a promise that the people would decide if we remained. About 2 and half years after we joined. 17,378,581 (67.23%) voted to remain. 8,470,073 (32.70%) voted to leave. This was the will of the people that the government abided by. However, the democratic will of the people was then overturned by a second referendum. 44 years after the people voted to remain. We have established that the principle of more than one vote on the subject is acceptable. We have established that the “will of the people” can change. The 1st referendum was 2.5 years after a decision. The 2nd referendum was 44 years after a decision. So being 3 years after a decision places us in what seems to be an acceptable time frame. Isn’t a subsequent and deciding vote usually the requirement to break such a stalemate ?